Today’s customers love data more than ever. As a result, the pressure for marketers to prove ROI has never been more. It doesn’t matter if you are a marketing wizard like Seth Godin, Brian Dean or own a start-up marketing agency, clients want numbers. And who can blame them? It’s their marketing dollars or euros, and they want the biggest bang for their buck. Now, this is not always so easy. Calculating ROI in digital marketing is a tricky call. The biggest challenge when calculating your marketing ROI lies in tracking multiple variables that can impact marketing results. Is It Possible to Correctly Calculate Return On Your Marketing? 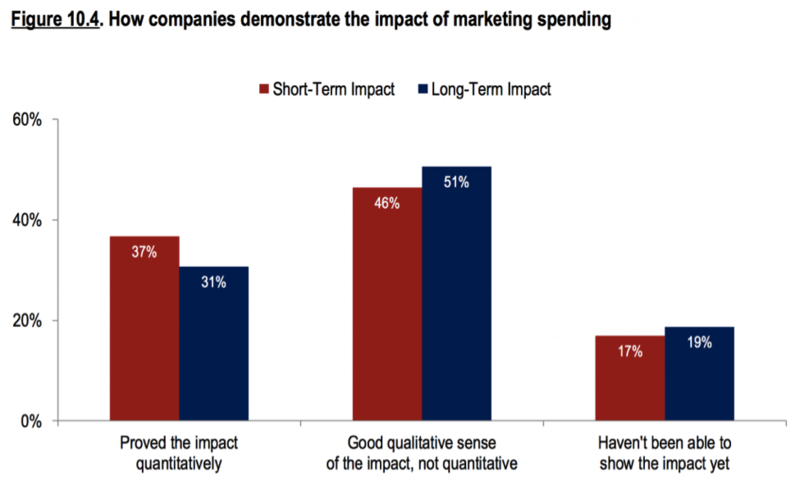 A recent CMO Survey from Duke University’s Fuqua School of Business revealed that only a small percentage of CMOs felt that they could prove the short or long-term impact of marketing spend quantitatively. Our modern day marketing prodigy Neil Patel even posted a video on Facebook saying Marketing doesn’t need ROI. This is because one simply cannot track monetary return on investment (ROI) as the sole criterion to determine if the marketing program is effective. In a recent article Forbes explained, “No longer does ROI stand only for return on investment. Today, ROI also stands for Return On Impression, which encompasses two primary values – a hard metric and a soft metric. Together, those two values are far more powerful for measuring marketing performance than the single dollar value provided by return on investment metrics”. But you still might need some numbers to convince your boss to reach his wallet and invest more. 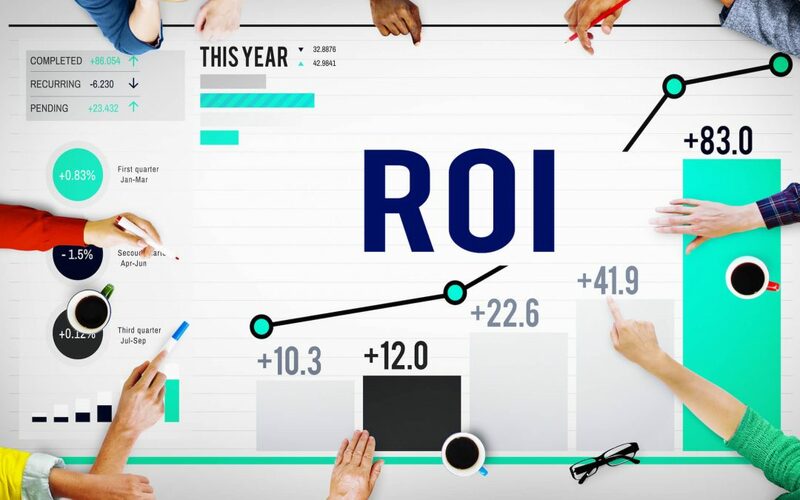 So, in this article, I’ll share with you the ways in which you can best assess marketing ROI, and know when to expect return on your marketing dollars/euros. This above formula looks quite simple but becomes increasingly complicated with time. But just because, it’s hard it doesn’t mean it’s impossible. Fortunately for us marketers, there are various analysis tools that give companies insight into their various programs’ levels of success. Have a look at the list above. Each sequential method here will project a more accurate view of your marketing ROI or the value data. Most businesses evaluate their marketing program value using the first two methods on the list. Let me show you how the top four typically work. This is by far the most common practice for measuring Marketing ROI. In this method, the credit for the deal is given to the first or the last program that touched the deal. First Touch – Allocate total value to the FIRST program to touch the deal at the top of the Sales Funnel. For example, this could be the Lead Source like a Webinar. Last Touch – In contrast, credit here goes to the LAST person to touch the deal before the key action was taken. A good example is – a lead turns into a prospect after watching the demo – and the credit goes to the demo team at the mid-bottom end of the funnel rather than the drip marketing team. Trouble with the first method of Single Attribution is that marketing methods might not reap fruits for a while. This method adds credibility to the first one by adding time to it. The solution is to make revenue cycle projections. By doing this, you can get a deeper insight into the long-term impacts of your marketing programs. For example, instead of waiting to see the actual results of a webinar, this approach looks at what impact the webinar had at the top of the revenue cycle. This approach recognizes that it takes multiple touches (people and programs) to close a deal and attempts to measure the contribution of each. For this, you need to set up a comprehensive list of touches for a given deal. Then, allocate the revenue to each touch. It is usually most effectively done with even distribution – meaning, if there were 5 touches, each one gets 1/5 of the revenue. 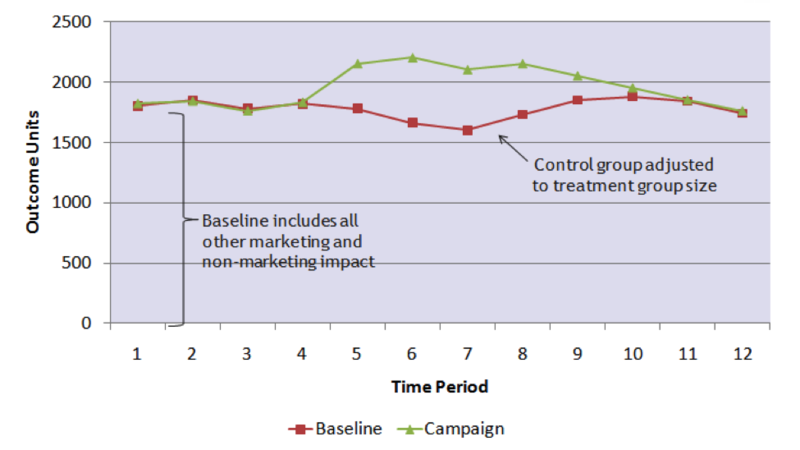 Another way to measure ROI of a marketing program is to test the effectiveness of that initiative against a well-formed control group by comparing the two groups’ results. Simply put, you apply the marketing program you want to measure to one component of your target buyer group but not to another homogenous part of that group. For example, you might want to measure the effectiveness of an advertising campaign. One possible approach would be to divide the market in two equal geographic parts, and spend twice as much on one group than the other. 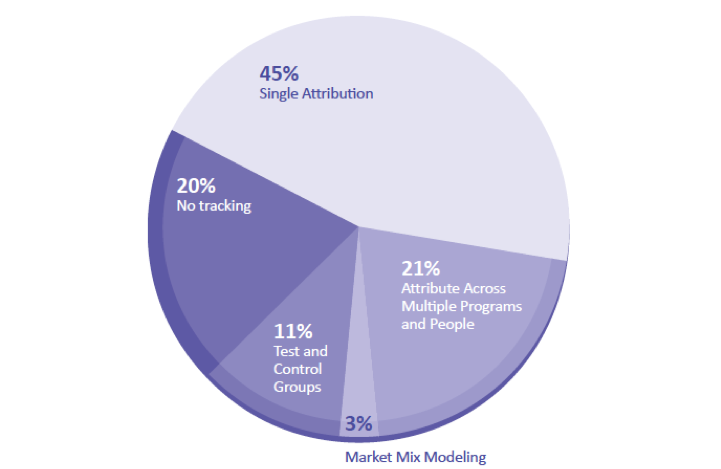 Then compare the two market segments to analyze your campaign effectiveness. The outcome metric here can be anything – traffic, leads, conversion rates, revenue, profit or all of them. How Much ROI Can I Expect From SEO? This is a very common question me and my fellow marketers get a lot. Most SMEs are happy to invest in SEO in exchange of predictable and measured outcomes. You might have already figured out that SEO ROI doesn’t quite work that way. At this point, I suggest you an excellent read – Investing in SEO the Warren Buffett Way by Sam McRoberts. Here’s what it says in a nutshell. SEO ROI works like the stock market. Just like stocks, do your research, use the knowledge at hand and choose your keywords. Then, YOU WAIT. And akin to the stock market you’ll experience periods of growth and decline in ranking. Over time, you can expect exponential growth if you do your homework right. Patience is definitely the virtue here. You’ll need to see through the ups and downs of ranking and algorithm fluctuations. So what’s the average dollar/euro value roughly speaking? When SEO done right over long term, you can expect 10x if not more. Disclaimer: That being said, if you only invest $500/month over 3 months (short term low investment), I doubt if you’ll get even 5x. Here’s some more numbers for you to consider. A recent study by Borrell Associates predicted the SEO industry to grow to an estimated $72 billion by 2018 and $79 billion by 2020. To get a real and holistic understanding of your marketing program’s worth, you need to measure the Return Over Time, especially when it comes to SEO, Social Media, Sales Funnel and Content Marketing. Return in Marketing CANNOT be solely measured on sales and profits. In comes with it a host of other impressions like – leads, prospects, phone calls. For example, there is a near consensus about the marketing effectiveness of social media because it allows companies to engage directly with customers, build brand authority and eventually sell more. But justifying the value of social media with data has been a near impossible task. Does that mean social media is not effective? You know the answer. Not everything of value can be measured on a weighing scale and sometimes when done the results are misleading. Today’s metrics do not present an accurate number for some of today’s most valuable marketing channels. Marketing will continue to become more and more dynamic and omnipresent. Marketers and businesses will need to become experts, both in usage and measurement. Hope this article was useful. Feel free to ask me questions or leave a comment. Great article, very useful information. I would like to add one interesting way to track the success and ROI of your marketing activities – You can use inbound numbers, like 1300 and 1800 numbers here in Australia, and through inbound call reports, see who responds to each of your campaigns as well as when, where, and how.